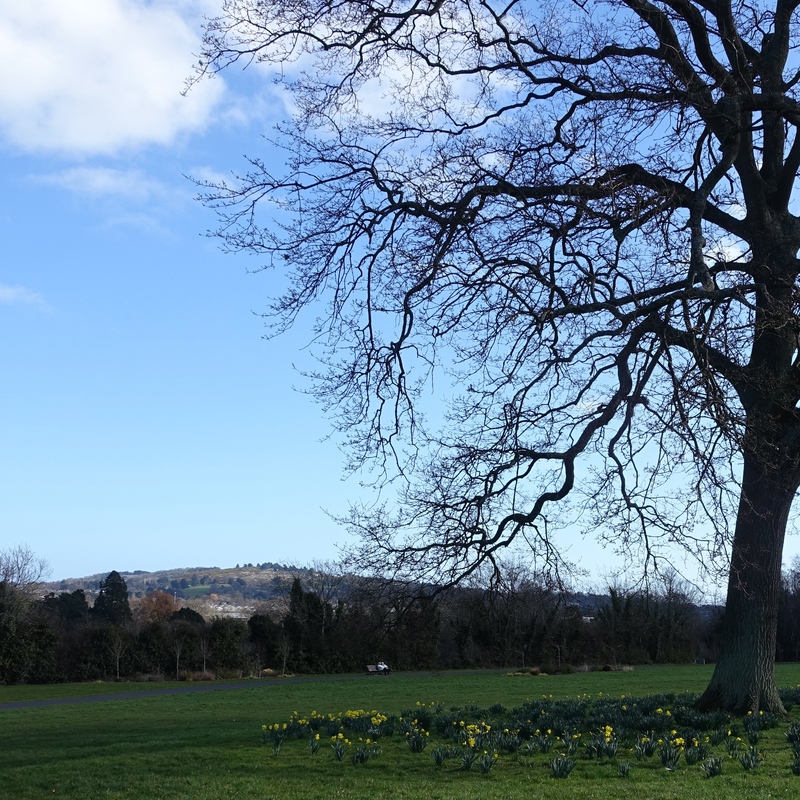 As Urbun, a café in the South Dublin suburb of Cabinteely, is on my caffeine trail and as Cabinteely Park is next to Urbun I often meander around the park post my latte fix. I normally stick to the lower reaches of the 80 odd acre park as there is plenty to see there such as: the small pretty lake with ducks and swans gliding across it; paths along which centuries old trees stand sentinel; and in the summer the apple orchard, close to the lower gates, is gloriously underplanted with a dense carpet of colourful meadow flowers. However recently I saw a notice on the park gates about the local council’s Spring into Heritage 2015 events: as part of this programme the council, who own and manage Cabinteely House, are offering guided tours of it. The tours are on the hour every hour from eleven to two each Tuesday from the 10th of March to the 12th May. Admission is free. So, this Tuesday I finally made it to the top of the park to see Cabinteely House. Sadly but understandably no photography is allowed inside the house but I can attest that the house’s interior is worth seeing. 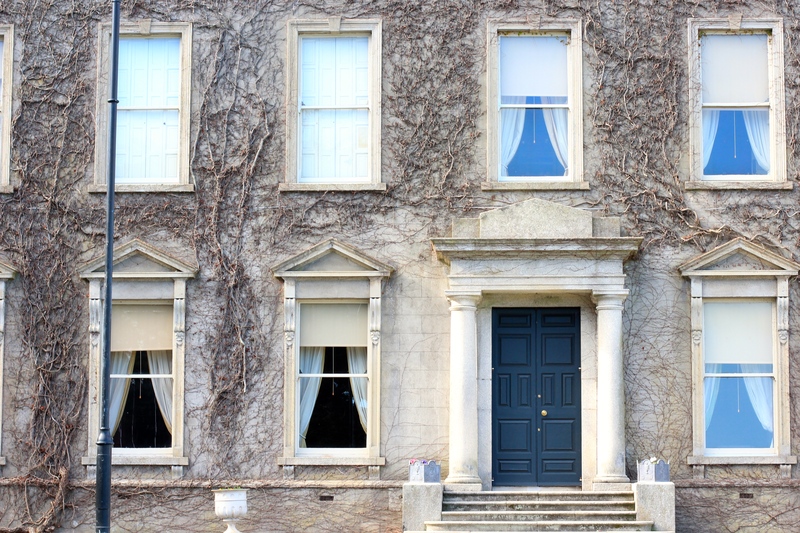 Cabinteely House has a long history and so a roll call of owners. It was built circa 1769 by the thrice married Robert Nugent for his sister Clare Nugent on lands owned by her husband’s family. The house was originally called Clare Hall. The last private owners were Joseph Mc Grath and his family. McGrath was one of the founders of The Irish Sweepstakes (the sweepstake was a lottery which in its day raised sixty million for Irish hospitals). On his death the estate passed to the McGrath children and in the nineteen seventies planning permission was sought for development on the grounds. Two of the conditions of planning were the retention of ninety-six acres of land as open space (part of this land was later used as sites for a school and neighbourhood shopping centre) and the preservation of the existing trees and woodlands. 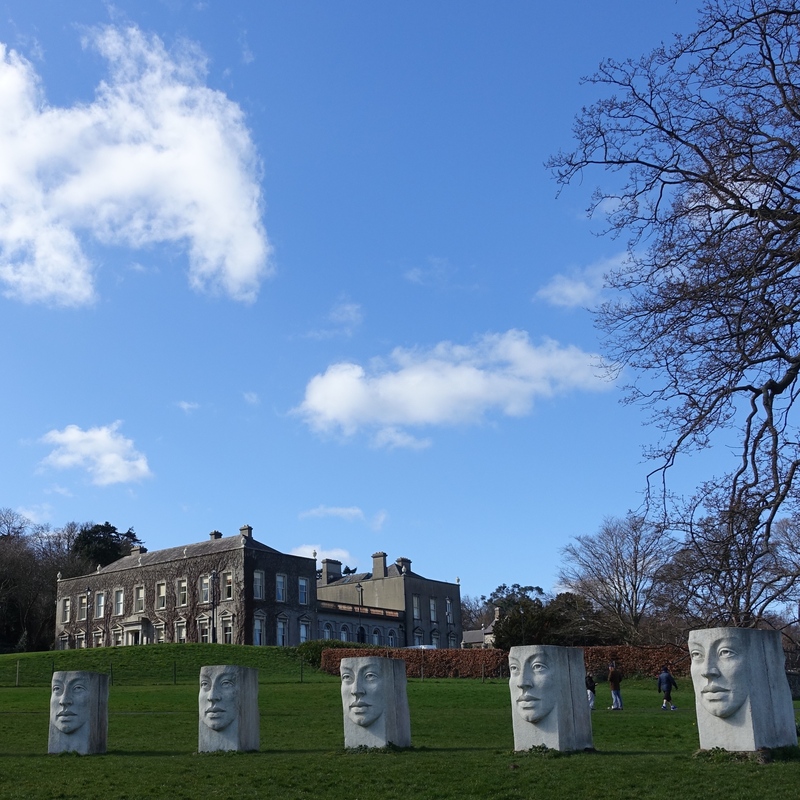 The house and the surrounding park are now in the ownership of Dun Laoghaire Rathdown Council who have invested in restoring and maintaining Cabinteely House. Much of the funding for the upkeep comes from the temporary letting out of the house for use as a film or TV set. Cabineteely House has ‘starred’ in Albert Nobbs, The General, and in many TV programmes. There is a cafe (which I haven’t road tested) in the outbuildings beside Cabinteely House which has a charming Japanese garden. The house as I said earlier is worth visiting, if you cannot make one of Spring into Heritage viewings it is normally open a couple of days a week during the summer months. 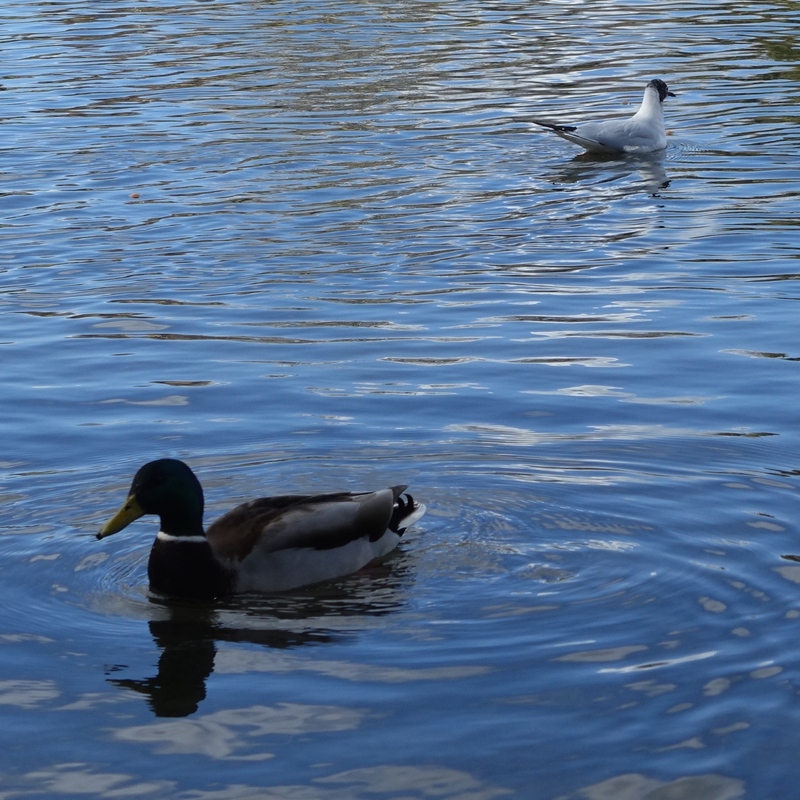 If you haven’t yet been to Cabinteely Park it too is worth a visit. I have already mentioned some to its attractions and aside from those it has: a large adventure playground, a fenced in dog park, and views over the Dublin mountains. I have lived in the general area for most of my life and didn’t realise such a gem existed on my doorstep; thanks B for pointing it out to me. What a pleasant day you had…love the beautiful spring flowers. We’ve still got snow on the ground. Thanks for your comment Karen, I hope the snows pass soon. Me too I love those colourful spring flowers. I really like this time of year and I especially like seeing displays of spring flowers. They are great for splashes of colour. It’s gorgeous, and now on my list of “things to do when Spring officially hits”!! I was lucky it was a lovely warm sunny day when I was there but sadly the weather since Tuesday has reverted to winter mode. lovely. I am going to put it on my must visit list! 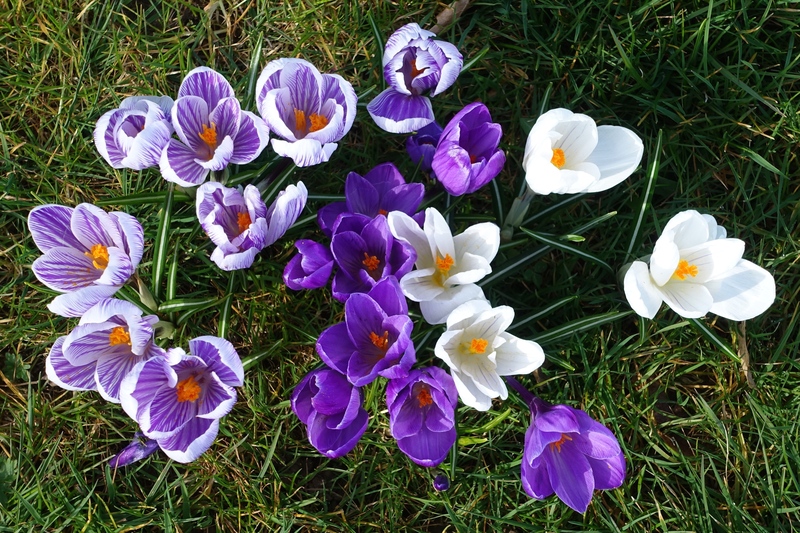 How lovely, wish you could have gotten photo’s of the interior of the house, the grounds are gorgeous, the beautiful purple crocus, harbingers of spring scattered in the green grass is so gorgeous. What a wonderful place. Me too, I would love to have taken some interior shots but they are not allowed for, I think, security and insurance reasons. The park is large and lovely. I was there on a sunny day so it was lovely to feel the warmth on my back and to see so many spring flowers. Me too. I would love to be there. Beautifully captured; the park, the house, the face henge and the crocuses 🙂 Spring has sprung down the caffeine trail! What a gorgeous place and I really enjoy seeing the pretty flowers – great pictures! Your ma blue sky and exquisite spring flowers brightened my day! Thank you, B.! Dun Laoire Rathdown are to be commended for keeping this important area in good condition – Will def try to get a tour in Summer now! than you for sharing! Yes I agree. Kudos to the council for doing such a good job. Thank you for your comment. 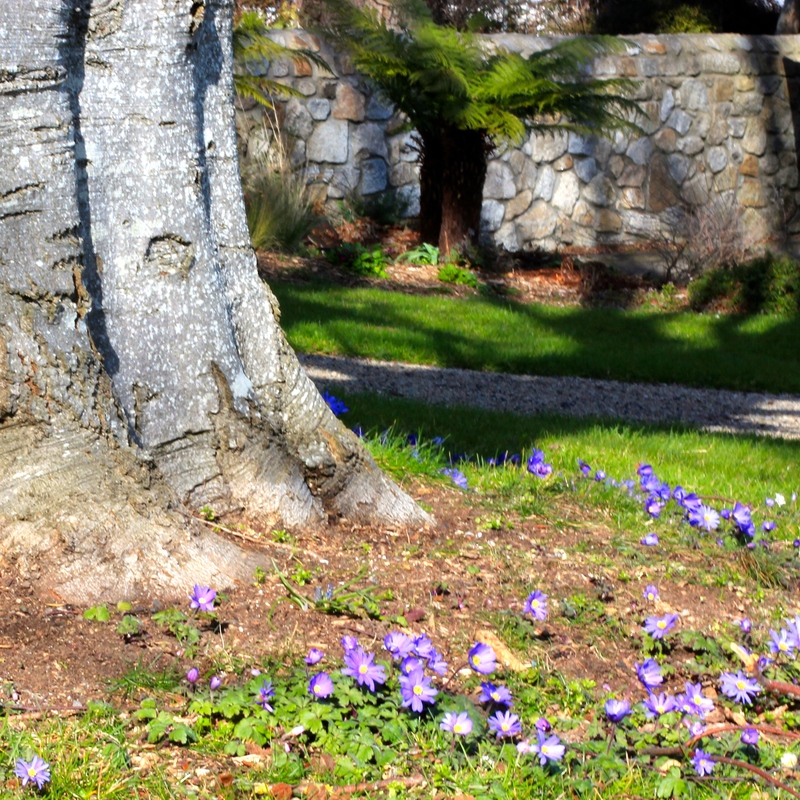 Cabinteely House and Park are truly spectacular in a lovely natural location. They are a fantastic locations for a walk and relaxation. It has dog exercise area and fantastic childrens playground. It is a photographers paradise.with such a variety of photo opportunities such as Architecture, landscape, nature, birds, flowers, pond, stream, waterfalls, Japanese Gardens. Did you know the pond in the Japanese Gardens beside the Cafe is heart shaped. 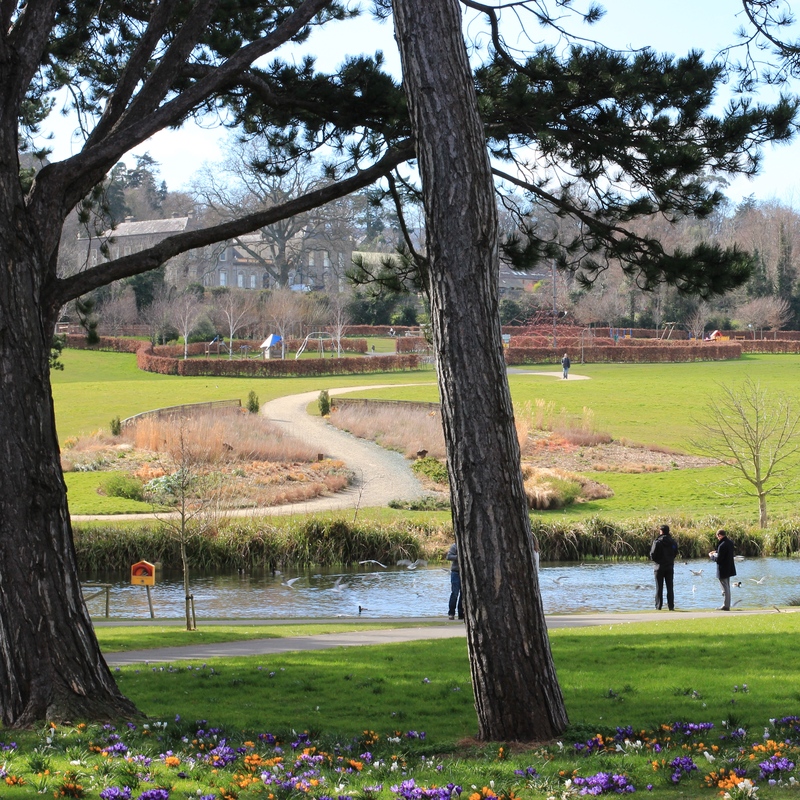 Thank you for your comment: I agree with everything you say about Cabinteely House and Park. I didn’t know the pond was heart shaped so thank you for letting me know.